I was recently interviewed by Rose Hackmen for the Guardian on their story about the McKinney Pool incident. 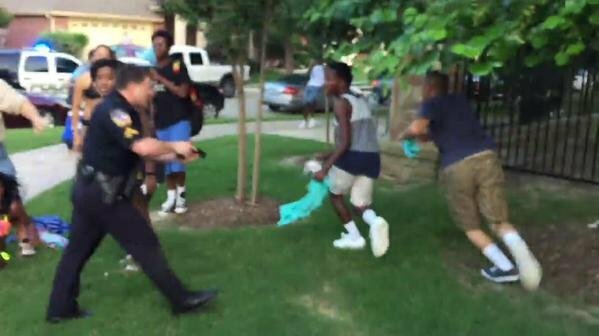 In the viral video, we see Corporal Eric Casebolt aggressively engaging Black teenagers, drawing his gun on them and ultimately forcing a Dajerria Becton to lay prone with his knee lodged in her back. The video, while shocking to many, in my estimation, simply captures the everyday inequities that Black folks experiences, even in suburbia. (Be on the look out for a more lengthy commentary soon.) Here’s a quote I offer.